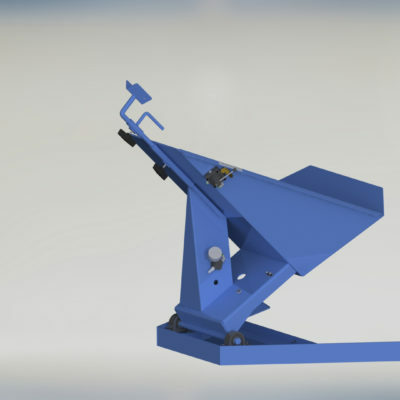 The Ensign drum tilter is an economical and nearly labor-free method for unloading Gaylords, bins, boxes, drums, and various other containers. 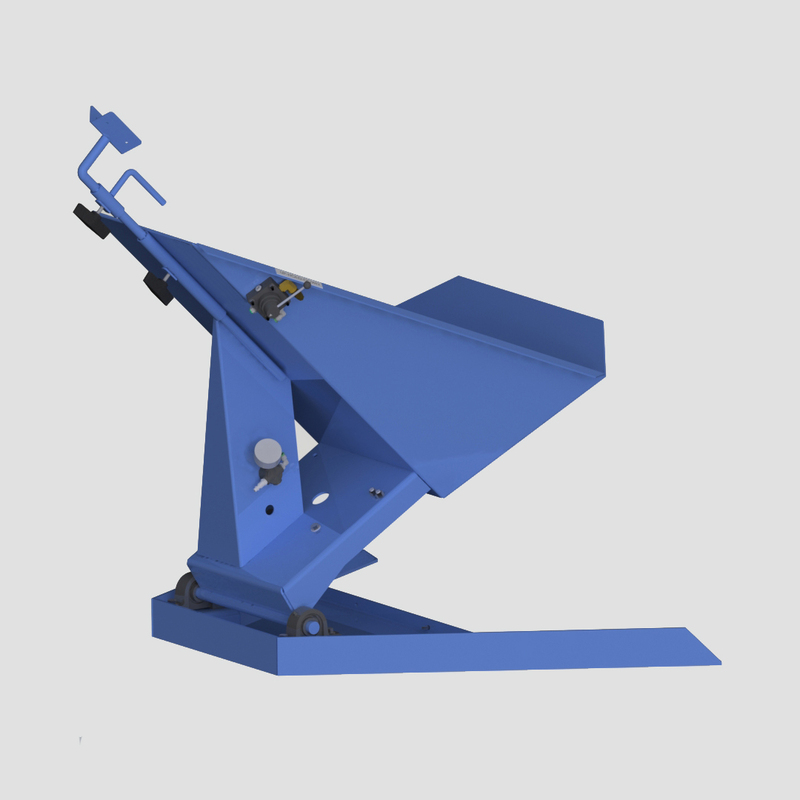 Capable of automatically or manually tilting when the container is approximately half empty, Ensign’s Drum Tilter can lift up to 1,000 lbs at 80 psi to a 45-degree angle ensuring all material is evacuated from the container. 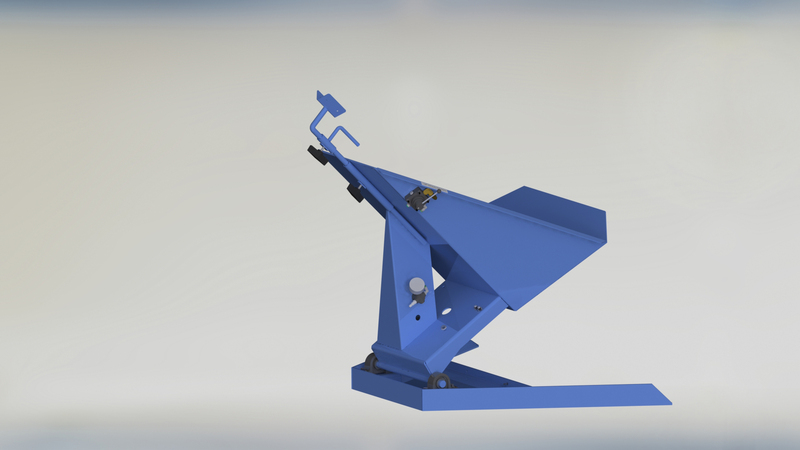 The ground entry tilting pan can be loaded from the floor with a pallet jack, forklift, or hand truck. The tilting pan pivots on two serviceable and replaceable pillow block bearings. Unlike many other tilters on the market, these tilt bearings require very little maintenance and ensure smooth rotation during the entire tilt cycle even years after installation.